I have friends who are vegan and when they first decided to go vegan they were not very sure what the possibilities where to eat. I decided to make something that is relevant and can be eaten by all of my audience, whether you are vegan, gluten-free, or just eco-friendly and want to not waste water with washing up the plates, this recipe is for you! 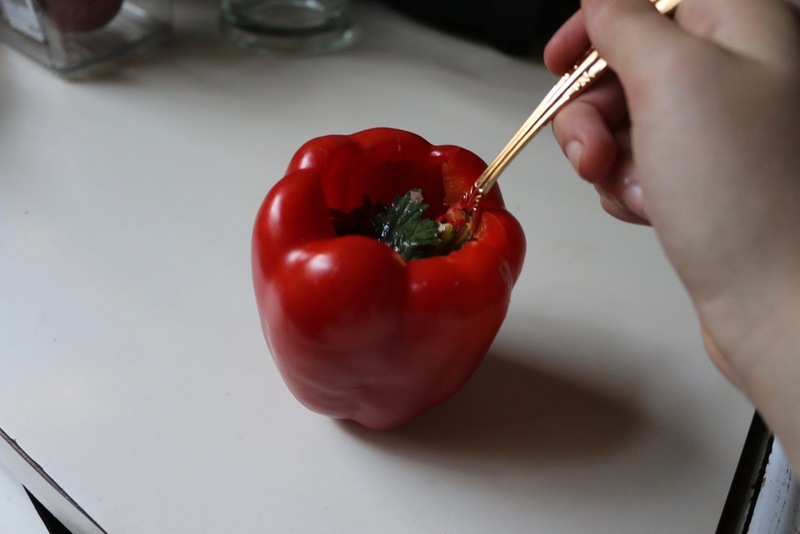 Start off by washing your capsicum and cutting a circle at the top of the capsicum around the stem. Once you've taken out the stem, make sure to get out all of the seeds with a spoon. Mix up the ingredients for the dressing and put a couple teaspoons into the bottom. Once done add the salad of your choice. Add the rest of the dressing and put the top of the capsicum on and shake so all of the dressing is mixed evenly. 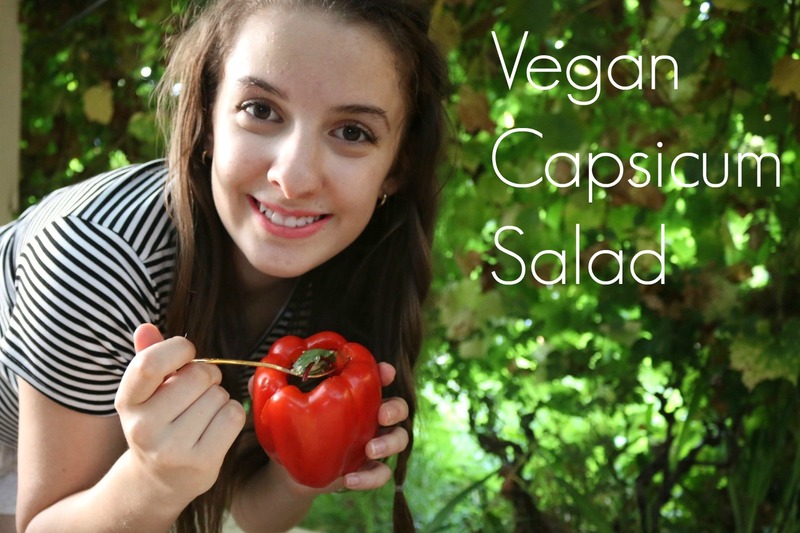 Once you have done that your capsicum salad is ready to eat, once you have finished eating the salad you can eat the capsicum, easy! Tweet me if you recreate this I'd love to know what you think of it and what salad you chose to put into it. Yummy! 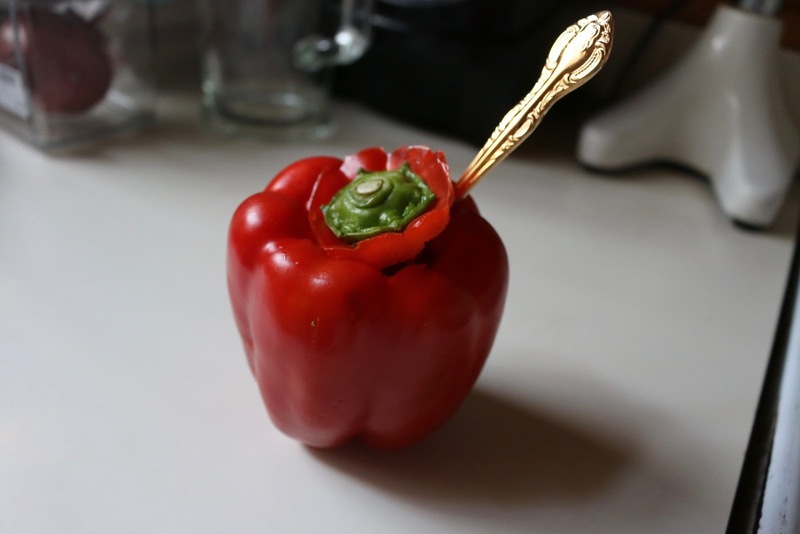 I love capsicum! Will definitely be doing this!